There’s something infectious about their eccentric friendship: Two boyz in the hood of Oakland, California. One black, a tortured sensitive soul and a magnet for suffering. One white, who tries to act black and attracts trouble from miles away. Their odd relationship, which is based on a deep emotional connection neither can explain, puts them front and center on their street corner, like quirky characters from early Spike Lee movies. It’s not all fun and games, although there is plenty of that. Collin (Daveed Diggs, Hamilton), an ex-con, is desperately trying to avoid strife and police confrontations as he endures his last days of parole/probation in a halfway house. His cantankerous buddy Miles (Rafael Casal) has not done prison time, and that’s a miracle as his big mouth writes checks his fists can’t cash. The two make a meager living working for a moving service. Collin’s ex-girlfriend Val (Janina Gavankar, The League, True Blood) runs the front desk. Miles is shacking up with his black girlfriend Ashley (Jasmine Cephas Jones, Hamilton) and their precocious son (Ziggy Baitanger). Diggs and Casal, friends and collaborators since meeting at Berkeley High School, have evolved into co-screenwriters. Their street cred gives them a unique observation of an asphalt oasis in transformation. 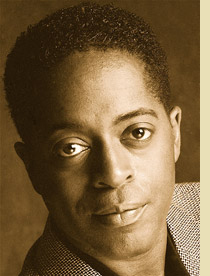 Diggs, an original cast member of Hamilton, is a rapper and actor. Casal, a white-Hispanic playwright, is also a spoken-word-artist and Def Poetry Jam veteran. Rapper and poet? It’s no wonder the film’s rapid-fire dialogue is as colorful and rhythmic as the characters. The script differentiates between the two disparate twentysomethings and clearly depicts how the outer world perceives them inversely. It’s no wonder Collin suffers PTSD from the constant barrage of negative racist energy he encounters. It’s easy to see why Miles is oblivious, because his skin color is giving him a pass, even though spiritually, he is knee deep in black culture. The variance between Collin and Miles’ experiences blisters as the 95-minute film progresses. One night, as Collin sits in the cab of his moving van, he witnesses a white cop (Ethan Embry, Sneaky Pete) shooting a young black man in the back. Collin freezes. The cop’s eyes and his meet. Those seconds seem like hours. Collin has a choice. He can get involved, tell what he knows, or remain silent, which is eating at his soul. Miles has a more romantic view of his pseudo gangsta life. He’s the prince of the city, social with many in his neighborhood. When he walks in the local bodega everyone says hello and exchanges pleasantries. They don’t know that brotherman carries a gun. He’s a ticking time bomb. His recklessness crests in a moment where he puts his young son’s life in danger. Race. Class. Cultural appropriation. Police brutality. Family dynamics. Gentrification. The prison system. Parole. Street life. Halfway houses. Diggs and Casal lay the social issues on thick, but not as if they’re throwing a bunch of problems up against the wall to see what sticks. As casual as the delivery seems, their screenplay is meticulously thought out, as if they are trying to make sure that every ounce of their commentary is understood. Writer/director Boots Riley attempted the same feat in his avant-garde satire Sorry to Bother You. His muddled messaging was scattered. Blindspotting stays on target. It’s debatable who is more interesting to watch, Collin or Miles. That’s because Diggs and Casal are equally deft at panning out their characters and giving them strong centers. As you watch their perilous existence you can’t help but root for them both, even if their perceptions of life are so different. Jasmine Cephas Jones as Miles put-upon girlfriend and Ziggy Baitanger as his son bring a touch of sanity and vulnerability to the cast. Ethan Embry as the cop, who is the archetype for so many police officers who find themselves on the wrong side of justice, handles his role well. Though Diggs and Casal created this project, their buddy Carlos López Estrada, who had directed some of their videos, is at the helm. As a first-time filmmaker, Estrada perfectly captures the essence of Collin and Mile’s friendship. He segues from laughter, to anger, to fear, to sadness, to disgust and guilt, effortlessly. He stages scenes, from the murder to a final confrontation, with great skill and versatility. The camera is always in the right place (cinematographer Robby Baumgartner), the length of scenes is just right (editor Gabriel Fleming, The Lost Coast) and the hip-hop sound track (Michael Yezerski) is placed perfectly. In these trying times of urban change, police malfeasance, gun violence, racial strife and such, it’s nice that Diggs, Casal and Blindspotting are sending a message from the front lines that confirms what you’re experiencing and gives you a grain of hope. 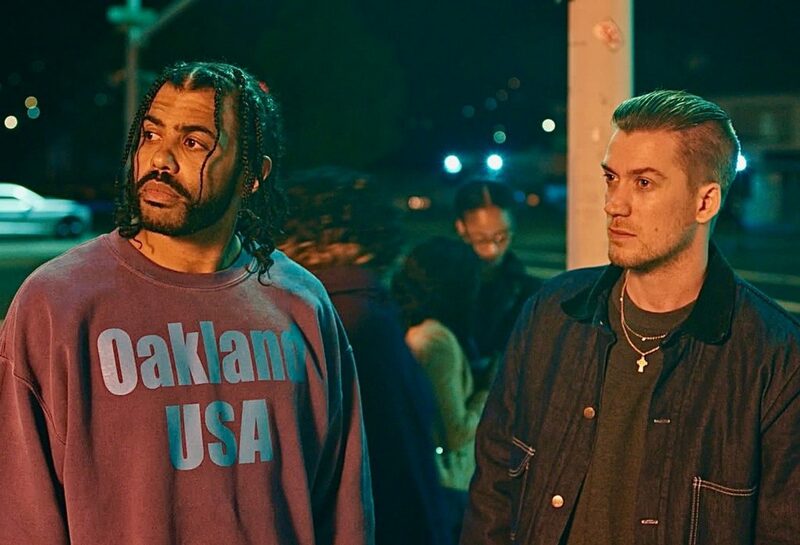 Blindspotting is funny, dramatic, edgy and engaging from beginning to end.